Laurel and Hardy are one of the finest comedy acts to have graced our screens. From their Foreign Legion campaign in Beau Hunks to their improvised song and dance routines in Way Out West, their comic genius is known, loved, and celebrated by viewers of all ages across the world. In turn, their influence on other comedies has been profound. British sitcoms abound with Oliver-Hardy-like idiots – who don’t realise they’re idiots – such as: David Brent, Basil Fawlty, Harold Steptoe and Father Ted; as well as their Stan-Laurel-like sidekicks: Gareth Keenan, Manuel, Albert Steptoe and Dougal. Many people in comedy today are heavily influenced by a black-and-white double-act who made their best films 80 years ago. The Laurel and Hardy Legacy traces the impact of Stan and Ollie, and offers reflective insights into fundamental comedy questions. Why were Laurel and Hardy’s features not as good as their shorts, and why are film versions of sitcoms never as good as the originals? Why do sitcoms have studio audiences and how did Laurel and Hardy fine-tune their films for the cinema audiences they couldn’t see? Why do actors like Oliver Hardy, not comedians, so often play the lead roles in sitcoms? 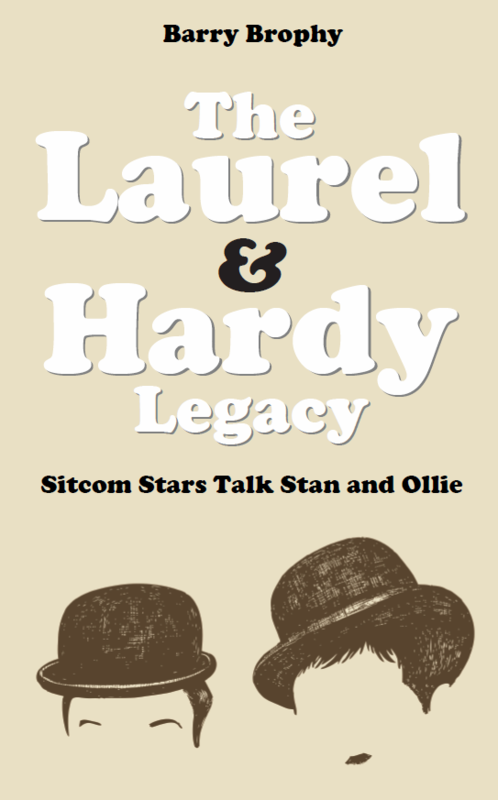 Based on a series of exclusive interviews with some of the top comic actors and writers of the last 30 years, this book looks at the immense comic legacy of Laurel and Hardy. Stephen Merchant, Richard Wilson, Bruce Forsyth, Ray Galton and Alan Simpson, Tony Robinson, Barry Cryer, Ardal O’Hanlon, Graham Linehan, John Dunsworth, Nigel Planer and Andrew Sachs all talk about their love of Laurel and Hardy and how they influenced their own work. From Blackadder and The Young Ones, to Hancock’s Half-Hour and One Foot in the Grave, The Laurel and Hardy Legacy is a fascinating insight into the hidden workings of comedy. Book Categories: Barry Brophy and Biography.